Cofounder Beat Weinmann corresponds personally with each client. LUCERNE, Switzerland—Today, ochs und junior announced the Swiss watch industry’s most personal ecommerce experience. While ecommerce is well-established as a convenient way to shop, the Swiss watch industry has been slow to adopt it. The giant luxury groups, in particular, have largely remained on the sidelines. It’s likely that customer experience problems have played a role. In retail stores, even official partners often offer watch discounts, resulting in a better price for the customer than buying online from the manufacturer. The sales process is often impersonal and of mediocre quality, particularly when special requests or customization are involved. And the shopping experience typically mimics commodity ecommerce sites, with elements like “Shopping bags” and “Quantity” that make little sense for a luxury watch purchase. 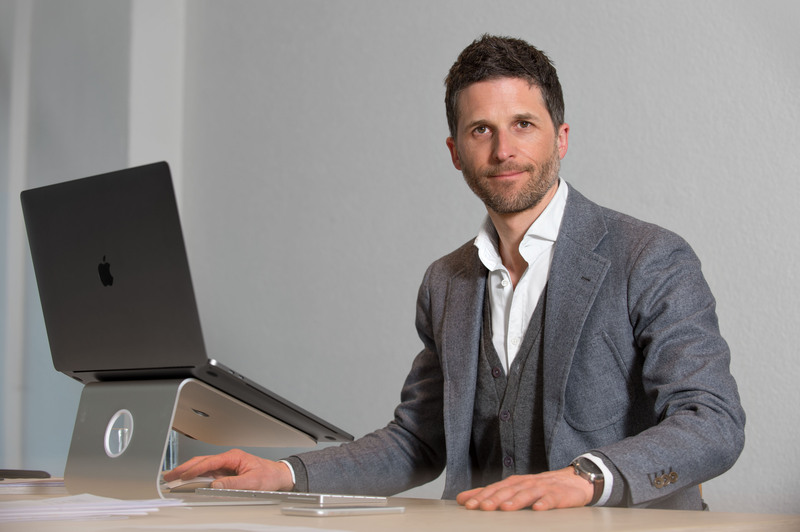 The Lucerne-based company ochs und junior is approaching ecommerce differently. As ochs und junior watches are sold exclusively directly, each customer pays the same price, worldwide. Every question and special request is personally handled by ochs und junior cofounder Beat Weinmann. Weinmann is the company’s head of production, sales and service, so the client has direct access to the maximum level of expertise throughout their entire purchase experience. ochs und junior’s ecommerce interface has no “Shopping bag”, “Quantity”, newsletter sign-ups, or up-sell attempts. Buy buttons on the Store and Customizer pages allow a customer to select, reserve and pay for their watch using AMEX, Visa, or MasterCard. Within 24 hours, Weinmann will personally email or call the customer to discuss their strap, delivery date, and special requests. Further information about ochs und junior’s unique purchase experience, as well as alternative payment options, can be found on its updated Purchase page. Since 2012, ochs und junior has pioneered the development of sophisticated and powerful online customization tools for its watches, which are now in their 3rd generation (example: annual calendar). Clients can select, configure, reserve, and pay for their watch online, and shortly afterwards they will receive a personal email or phone call from Weinmann to further discuss their special requests. The entire shopping experience is based on an open, transparent and no-nonsense philosophy. All of the relevant information about the watches, the configuration and the buying process can be easily accessed on the website. ochs und junior is based in Lucerne, Switzerland. The small company manufactures about 130 watches per year based on the inventions of the world-renowned watchmaker Dr. Ludwig Oechslin. ochs und junior’s “rigorously simple” approach to watchmaking is demonstrated, for example, in its perpetual calendar, which is executed in a minimum number of smartly-designed parts and offers maximum simplicity of use.